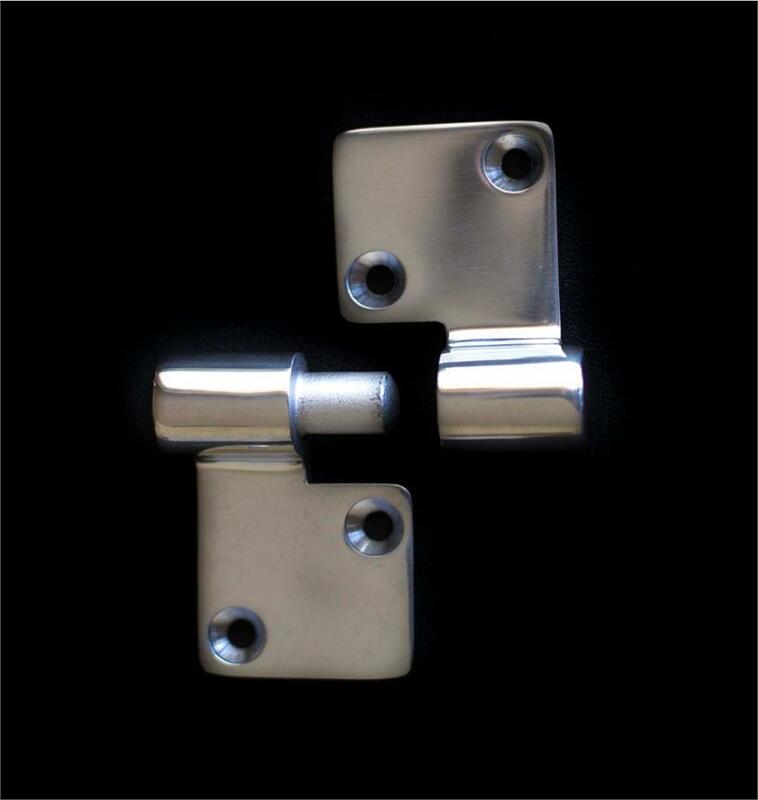 This unique heavy duty hinge provides a full 180 degree opening range and slides apart for complete removal of motor box, door, or hatch lid. 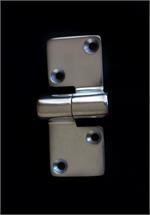 Highly polished cast 316 stainless steel for extra beauty and durability. It mounts with 4 - #10 fasteners (not included). 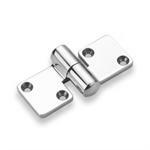 Used by many boat builders, this is a great hinge whether you are adding a new one or replacing a cheaper one that has broken! 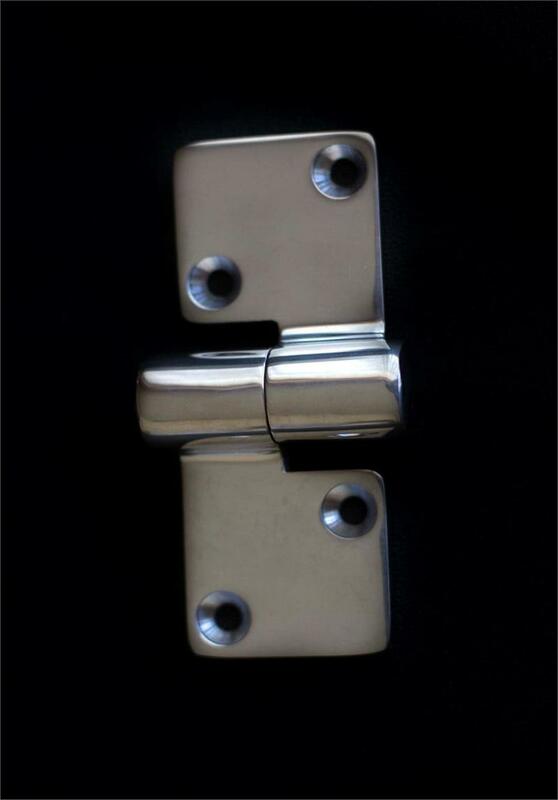 This is one complete hinge. Typically, you need 2 of these hinges for most applications, but we sell them in singles in case you only need one! Note, there is a left and a right, depending on which way you want to slide the hinge for removal. (drawing below is a left hinge) You need to have a minimum of 3/4" to slide sideways for the hinge pin to clear the socket. 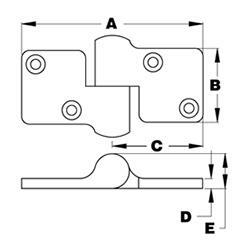 A = Overall length - 3-9/16"
B = Overall width - 1-1/2"
C = One side length from hinge center - 1-13/16"
D = Hinge leaf thickness - 3/16"
E = Overall height at knuckle - 11/16"